Euronews got reaction to the death of Yemen's former president Ali Abdullah Saleh from a British-Irish reporter who has covered the conflict there for many years. Iona Craig was the first foreign journalist to interview Saleh after he stepped down as leader in 2012. Her reporting from Yemen has won six awards including the 2016 Orwell Prize for journalism and the 2014 Martha Gellhorn Prize for investigative journalism. Craig told Euronews' Seamus Kearney in the video above about her initial reaction on hearing the news, her impressions of Saleh and what she thinks will happen now. 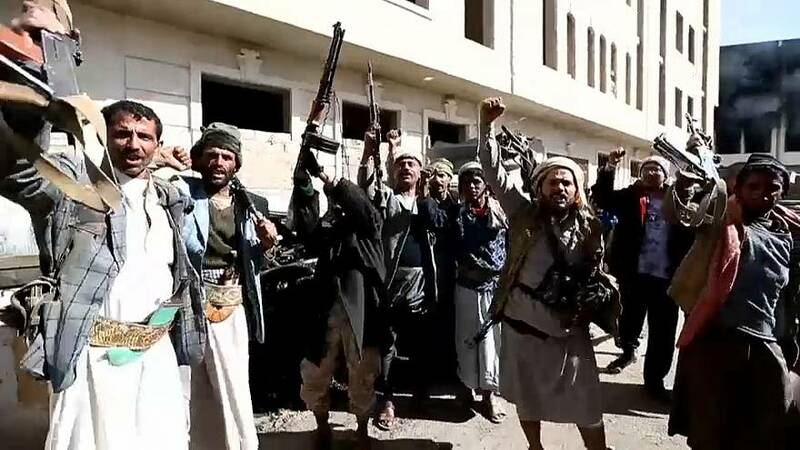 A boost for Houthi rebels? The death of Yemen's ex-leader in a road-side attack is being celebrated by Houthi rebels as the country descends into ever more chaos. Saleh appears to have been shot after his armoured vehicle was hit by a rocket south of Sanaa. His death comes after he abandoned his one-time allies the Iran-aligned Houthis at the weekend. The rebels claim they have foiled a conspiracy by a Saudi-led coalition backing the government to whom Saleh had made peace overture. "It's more relaxed in the streets today. The people are relaxed and it's good news the death of the leader of the militias which tried to cause chaos and disruption for us, and to sell us out to the (Saudi) aggressors, and of course Ali Abdullah Saleh was the last card that the (Saudi-led) coalition had to play," said a Houthi supporter. While Saleh's death may be a boost for the Houthi rebels, it's a blow to President Abed Rabbo Mansour Hadi who is self imposed exile in Riyadh. He has described the Shi'ite rebels as "Iranian militias" and urged the Yemeni people to rise up against them. Saudi-led militias in the contested city of Taiz say they are preparing for battle with the rebels as the country plunges deeper into civil war. International calls for all sides to re-energise political talks appear to have fallen on deaf years. Meanwhile, the UN wants a pause in the fighting to allow for the delivery of humanitarian aid. Ali Abdullah Saleh formed an alliance with the Houthis in 2014, when they seized Sanaa amid widespread disillusionment at the political transition. In early 2015 the allies ousted Abed Rabbo Mansour Hadi and forced him to flee abroad, prompting the Saudi-led campaign. Since then, more than 8,670 people have been killed and 49,960 injured and its sparked a major humanitarian crisis.